Discussion New Topic List? & New Discussion List Sidebar? New Topic List? 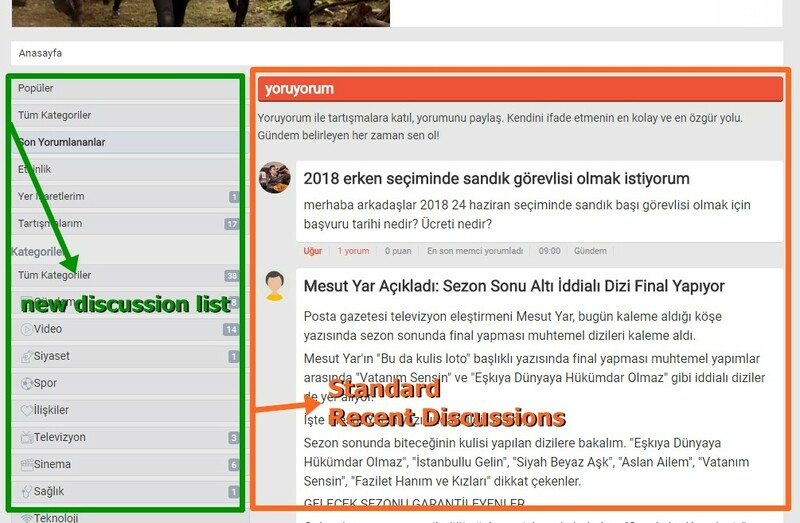 & New Discussion List Sidebar? If you can't be bothered to write detailed questions, don't expect detailed answers. I want to add the left menu; new topic list. A brief description in English, and a detailed comment in your own language would be fine. Google translate can normally do the job if there isn't a native speaker on here. Do you want to show a list of recent/new discussions?